With The Evergreen Project, and a plethora of other musical endeavours, Sam Wilson pushes the form. 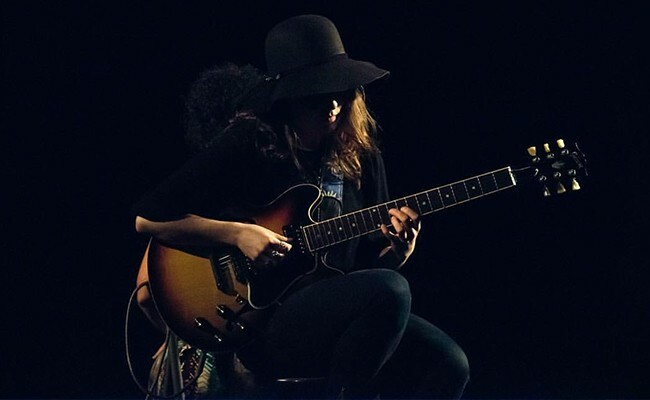 "My music teacher in high school sat me down and asked if I'd ever thought about pursuing music in university and I said 'um no,'" says jazz guitarist Sam Wilson, who thankfully changed her tune. "My parents are very career oriented—a nurse and a pilot—but I didn't go to school expecting a job, it was more time for me to perform with my instrument while earning that piece of paper." Wilson's sophisticated sound shows evidence of this practice, she incorporates improvisation and nostalgia. After studying at St. FX, and a brief stay in Canmore, Alberta, Wilson moved to Halifax last September, a place where she says the opportunities are greater. "I like the ocean and the city, there are lots of different artists here to collaborate with," she says. "I'm not a big city person, so rather than going to Toronto, Montreal or Vancouver, I wanted to be somewhere where I can still drive to the ocean." Since moving here, Wilson has started several projects, including her Evergreen Project—Cassandra Mann on bass, Liam Ring on saxophone and drummer Kye Ehresman round out Wilson's elegant playing. In addition to two upcoming albums this winter, one with the Evergreen Project and one solo album, Wilson is also working on an ongoing collaboration with dancer Liliona Quarmyne exploring the topic of memory. "I'm playing music and she's a representation of my thoughts. Our show will be based around memory—how memories can be fabricated, elaborating on a memory or people distorting memories—trying to build on that." 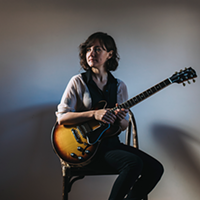 With her debut album Groundless Apprehensions, Wilson uses post-bop modern jazz to get her feelings out.